A REMAIN campaign group backed by billionaire financier George Soros has launched a £5.6 million plan to block Brexit, leaked documents have revealed. Best for Britain will use an advertising blitz, social media, a speaking tour by leading Labour Remainers and local campaigning in its bid to stop the UK leaving the European Union. 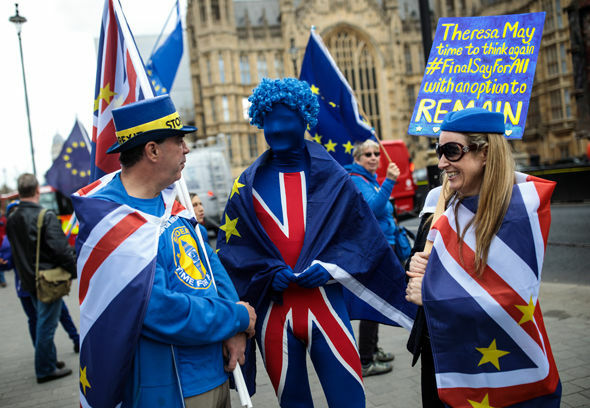 Campaigners will claim leaving the EU puts Britain’s national security at risk, blame Brexit for funding cuts at local councils and suggest Leave voters were rejecting Westminster and not Brussels. Best for Britain was launched last April ahead of the snap general election. It was originally fronted by Gina Miller, who took the Government to court over Brexit, but she stood down from the group the day after the election. The group received a £400,000 donation from Mr Soros, the Hungarian-born financier who bet against sterling on Black Wednesday in 1992 – earning him one billion dollars.But leaked document outlines a three-pronged strategy to persuade “soft” Leave voters to change their minds, mobilise hardline Remainers into action and shift the Labour Party into an anti-Brexit stance by using trade union influence. A Best for Britain spokesman said: “We have never hidden our agenda. Our aim as an organisation is to stop Brexit democratically. “We want to connect people across the country to their MPs, particularly in the Labour Party, so they directly hear from their membership and their voters, the vast majority of whom want to make sure we have a real debate on Brexit before our options are taken off the table. Richard Tice, of the pro-Brexit group Leave Means Leave, said: “George Soros, the billionaire who does not live in the UK, will stop at nothing with his elitist friends to stop Brexit, deceitfully masking their plans as a people’s vote. Former Cabinet minister Owen Paterson said: “The cynical plan to manipulate the British voter and stop Brexit has now been laid bare.